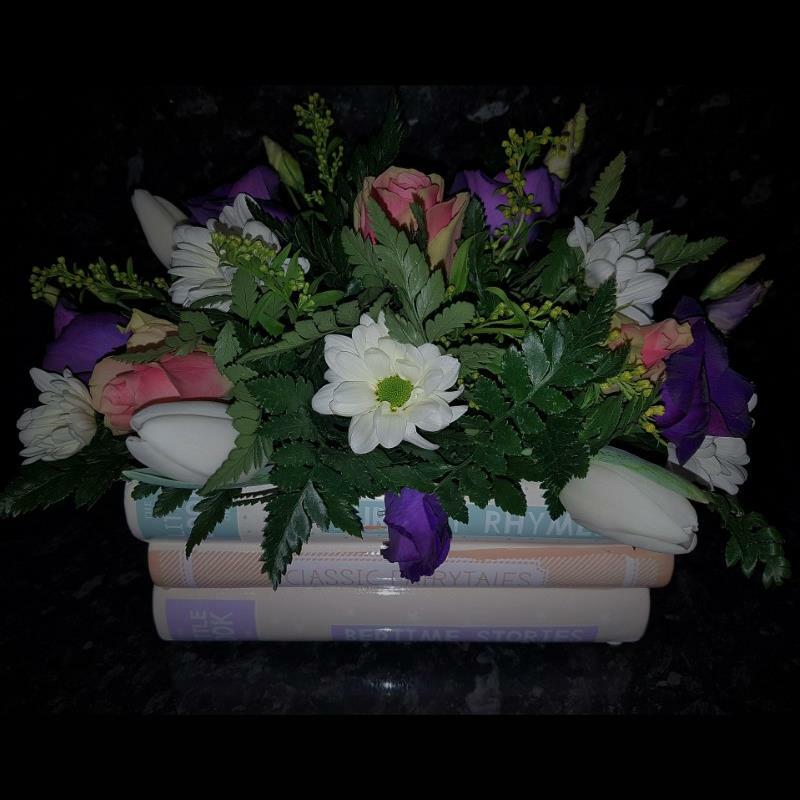 A beautifully presented baby arrangement, a lovely way to celebrate the birth of a new baby! Presented in a ceramic Fairy tale book planter (ideal for new parents who have their hands full!) We can create this in your colour choice to make it more gender specific, please state your requirements in the flower information box.